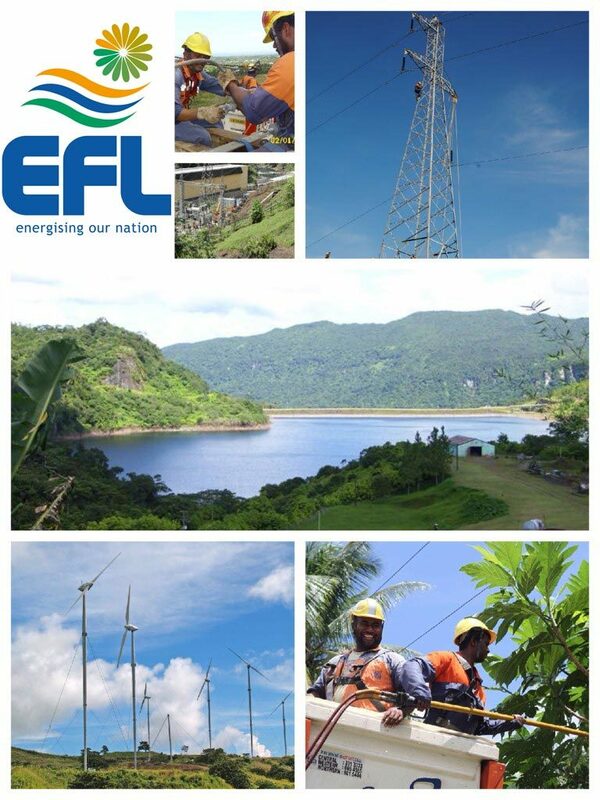 The Energy Fiji Limited was established, incorporated and constituted under the provisions of the Electricity Act of 1966 and began operating from the 1st August of that year. The Board Members of the Energy Fiji Limited are appointed by the Government. The Chief Executive Officer is an ex-officio Member and is responsible to the Members for the Authority’s management and for the execution of its policies. A uniform tariff rate is charged for electricity used by each consumer group. The tariffs are fixed according to government policy, and are designed to meet specified targets while achieving a reasonable rate of return for the Shareholder. The EFL is entrusted with enforcing the Electricity Act and regulations, setting standards, examining and registering electricians, and is empowered to approve and license suppliers to serve certain areas. The EFL is also governed by the requirements under the Public Enterprises Act.